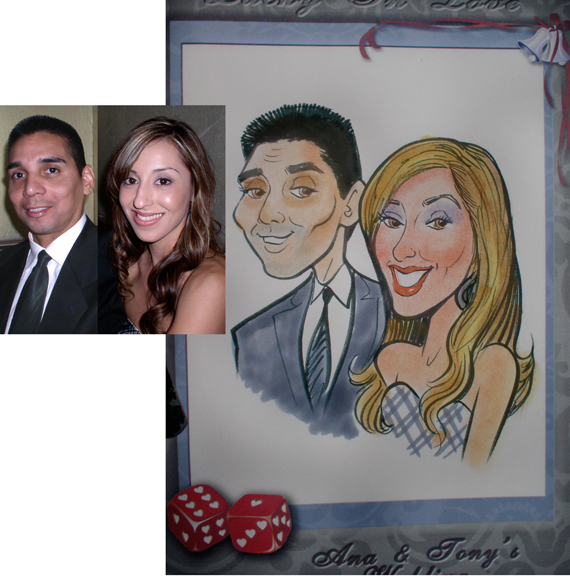 One of the custom artwork items I offer is specially-designed paper incorporating your theme onto which i draw people’s party portraits at the affair. 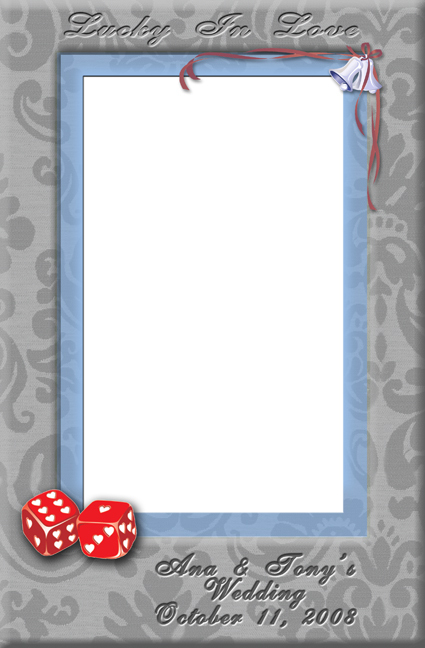 Pictured here is the latest custom design ” Lucky in Love “. Also pictured are two guests at the party as they appear after being drawn by Herman. This entry was posted on October 19, 2008 at 11:49 pm and is filed under Uncategorized. You can follow any responses to this entry through the RSS 2.0 feed. You can leave a response, or trackback from your own site.